Travelling alone is a kind of self-discovery and somehow for solo women travellers, it is not entirely an easy task. Women do have to think about their safety and plan accordingly. Here are some best destinations for solo women travellers, who want to explore India. It is a misconception that India is not at all safe. There are a number of tourist places where people are friendly and helpful. 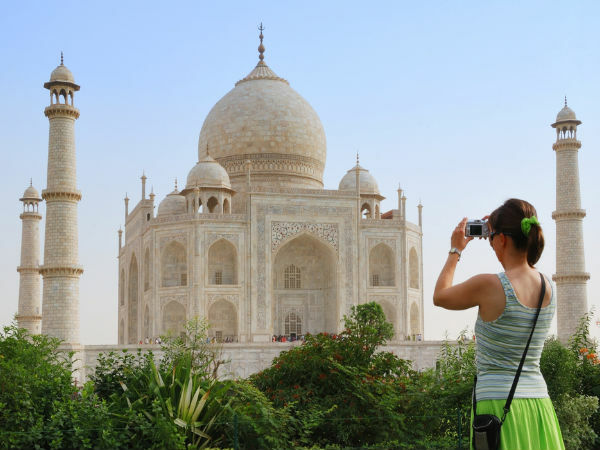 Women can plan solo vacations and enjoy their India trip. Given that you do your research and plan well, your solo travel will be a comfortable one. Here are some top destinations where solo women travellers should go in India! Tamil Nadu is considered one of the safe places for women travellers in South India. Chennai, the capital city has many tourist attractions. The city is well developed and has a good number of stay options. Even travelling within the places is not difficult as the public transport is good. Chennai is one of the top destinations for solo women travellers in India. Chamba in Himachal Pradesh is one of the best places for solo women travellers. Strolling around the picturesque landscapes of Chamba. It has many temples and places to visit. Mountains, apple orchards, temples, etc. keeps you occupied. It is nice to spend alone time amidst the tranquility of nature! The town of Auroville in Viluppuram of Tamil Nadu is unique place. People from foreign countries come here and enjoy a stay.It is near to the bordering Pondicherry. The theme of establishing this town was to bring different people together. The ambiance of Auroville is worth exploring and it is also safe for women travelling alone. The town provides a lot of opportunities to explore and follow things that you're passionate about! The holy city Varanasi has so many things to explore. The picturesque ghats of Ganga river give a serene feeling. Varanasi is one of the best places for solo women travellers in North India. A walk around the bustling streets, a boat ride in the Ganga river and a visit to the ancient temples will portray the beauty and history of this place. Mysore reminds everyone of the famous Dasara Festival. It is not only that, the city is famous for various things. Mysore is one of the most popular weekend getaways from Bangalore. The city is popular because of the calm ambiance. Though it is a well developed place, it is still pleasant and not very crowded. Women can easily tour around the places of the city and it is considered safe for female tourists. Hill stations are never considered safe for women travelling alone. The famous hill station of Shimla is beautiful and well developed. Tourists can get good accommodation and enjoy visiting the tourist attractions around. Shimla is a scenic beauty and a travel here is a must for women travellers. Agra is the place of the world famous monument Taj Mahal. People love to visit this majestic monument. It is not just Taj Mahal, Agra has a number of tourist attractions. It is better for female tourists to do a good research on hotels and lodges they want to book.